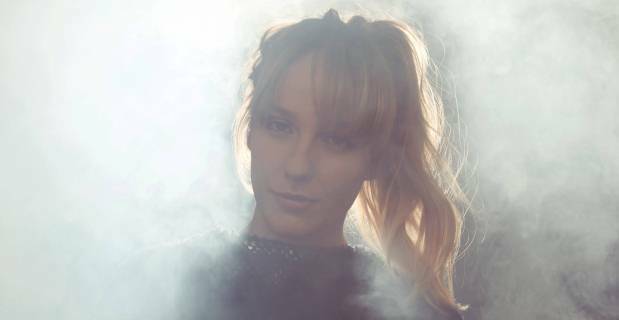 Because we liked the second album from this artist from Hamburg, we were pleased to interview her via email. Answers explain well the way she works hard, taking care of every kind of detail, and how important is for her the help of friends she trusts and she likes musically and personally. When I listened to your songs, I immediately thought of the English band Daughter. This doesn’t mean you are the same thing, but I think there are some similarities. Do you actually like them? Thank you, I actually like Daughter, her and their work is truly nice. I think also her lyrics are really strong and captivating! I can imagine she as well likes to dive more in the deeper part of the sea. I read that you started performing on stage 10 years ago, when you were 12. What’s the importance of experiencing the stage and working with other musicians when you switch to a solo project, as you did? When I was 14 I sang in a band, my friends and I would play punk cover songs in little clubs and everyone was jumping around; I was experiencing the band as something to truly help me find myself in these early teenage years, also because it was my best friends with whom I performed. Then, as I started writing my own songs and performed them with my guitar, I felt much more vulnerable on stage, without the friend back-up, but it made me learn about myself a lot. It can be healing, and it's wonderful to have the chance to be very spontaneous. I toured solo for quite a while, but at some point I felt the need to widen up the sound of the arrangement more again. Now my band again consists of two of my best friends: Benni & Nils. We know we can rely on each other on different levels, not only on playing the right notes. I guess that's an important feeling for the stage experience, not matter if you're a solo artist working with musicians, or a set band. Arrangements and rhythm play a big role in your songs are they are recorded on this album. How do you build the sound? I read the album is recorded with other musicians: are you open to ideas from them or don’t you listen to any suggestion? Honestly, as far it concerns the music, I must say that I listen to the suggestions of very few people – it's a very personal approach to music that I have with this project and I can't let someone comment or give advice on my ideas. I need that creative bubble around myself, until I know where I see the songs, until I have arranged them at least roughly. But as these visions were more precise, working on the album with my friends Benni Pflüger and Filippo Cimatti was the best that thing that happened to me. They are not only emphatic and reliable friends, they are incredible artists. When I had a rough idea about the rhythm, Benni (drums) would complete it and precise it amazingly with the first try when I came to the rehearsal with a new song, he would also inspire the electronic sounds & synths a lot. Filippo Cimatti (producer) and I sat in London for hours sometimes and were just discussing about pictures, and soundscapes. When I spoke of an image, he could immediately put that into an audio wave. Also we spoke of the experience of each song a lot. It helped the three of us are the same age, with similar life phases that we are going through. So it felt very natural to produce it together. Specifically, I like that all the songs have the same style, but there is always something different in each of them. How important is for you that an album has variety but the same overall style at the same time? Thank you :) To me it's quite important that an album sends you on a journey, and builds up a very own world, so that's a great compliment. I thought a lot about how I want to put the tracklist, which experience comes after the other, and how to tell the story behind the conclusion being expressed in the title 'Never Own'. It’s also very hard to choose one or a few songs which are better than the others. Do you actually have a favorite songs or do you like them all the same way? It's hard for me as well today that. It really depends on the mood that I'm in.. I relate very much to 'Under The Wild Skies ' and 'All'Inizio', 'Lover' and 'Vision'. A couple of songs are in French and Italian. How did this come? Do you actually speak so many languages? I speak English, Italian, French, and ..German of course! While I was working on 'Never Own' I studied Italian and French Literature, and also taking English Literature courses. Foreign languages and literature in general truly inspire me. I think it is amazing how literature reflect human experiences throughout the centuries, and I love the different melodies of each language. When I wrote L'Hiver en Juillet' I immediately knew that it requires the French melody and sound, and for 'All'Inizio' I knew it was Italian. I couldn't sing in any other language then. When an artist looks back at hir/her work after some time, he/she often finds something that he/she would change if he/she could. Are you completely happy with the album now, or would you change something if you could? When I came back from the month that we recorded in London, I knew the album wasn't quite finished... Not so much because the songs could not have been published like this, more because i was feeling that there were still experiences missing to complete the songs and new songs that still needed to be written; the era wasn't quite finished yet. And indeed there were a lot of mind changing things that happened in 2014 after the first studio session, which made me feel the need to work on the album again. That's why now, having taken the time that it required, I'm happy as it is. For the things that I want to try out, I will to that on the next record. You had already a lot of live dates scheduled and you recently played in Milan. When you play solo shows, of course the songs sound very different, but what about shows with band? Are the songs more similar to the studio versions? Did you already start collecting ideas for the future, or for now are you just focused on these songs and on playing them live? I am actually constantly working on new ideas and new songs, may they be fragments, but I need an output to cope with the input of the world. I'm currently working also on an electronic side project for myself , that is quite different from what I do with 'lùisa' – At the moment I'm really fascinated by electronic songs structures, and also the more technical side of producing music. Still these songs from 'Never Own' at the moment keep me going with rehearsals and new interpretations as well, I want to take care of them. Hamburg, your hometown, seems an active city musically speaking. There are always a lot of concerts and I have a bunch of good friends there, whom I met attending to indiepop festivals throughout Europe. On the other side, I read that some time ago that the police was given a stronger role in safety problems prevention. Whaat’s your opinion on your hometown? Yes, I think you are portraying it really well – on the one side, Hamburg has a very great independent music scene, speaking of bands, little labels, and clubs. Still gentrification , and the priorities set by the senate, have been threatening this alternative scene in the past years, and still is. While the upper prestige music scene and tourist attractions such as musicals have been financed, smaller clubs are dying. But there is resistance, which is good. There is actually a lot going on in the music scene in Hamburg right now in my opinion, it's promising.